Q: How do I keep my skin fresh while flying? A: There’s a reason stars are seen ducking out of airports in Jackie O-size shades. Red-eye flights, long TSA lines, and dry plane air are notorious for wreaking havoc on skin. The solution to mile-high maintenance is proper prep, on-board hydration, and a quick touch-up upon arrival so you appear paparazzi ready. Before takeoff, remove all traces of makeup, oil, and grime with a soothing face wipe. Protect skin with gentle moisturizers: a hand cream that’s rich but never greasy, a protective lip balm, and a hydrating face cream. A quick swish of all-natural mouthwash will ensure you’re ready for a chat with your seatmate. Plane air is so dry that it pulls moisture from your skin. Massage on a mask as soon as you reach cruising altitude (cream for dry skin, gel for combo to oily). Tap a few drops of oil on top to lock in moisture, and spray a hydrating face mist throughout your flight to keep skin dewy. Apply an eye mask to soothe and depuff. 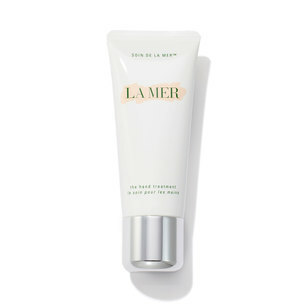 Start your touch-up with a dime-size dollop of a skin care based primer add an instant glow. A highlighting concealer hides imperfections and adds brightness. Use a multitasking lip and cheek color for a rosy complexion, an organic mascara for lengthened lashes, and a spritz of hairspray for root revival. Inflight air and compromised sleep are made worse when we leave our trusted beauty staples at home in order to speed through security. Sample these travel-size skin care and hair care formulas, which will keep your complexion dewy and glowing and hair fresh and hydrated.